Cryptocurrency has been in the news for quite some time now. But this news would elate both the enthusiasts and the followers of token money. While it has been some time that the token money has found a place in art too, this particular artist gets all that it takes an artist to survive in the art industry- a token of appreciation. Pascal Boyart, a crypto-enthusiast and mural artist based in France received a full bitcoin worth $4,000. It must be mentioned here that Boyart does politicized mural paintings on buildings, which has hidden messages for his fans that also includes prize money. Seed words representing the private key to the wallet are incorporated in the painting. Once placed in correct order, one lucky fan would be granted a prize. 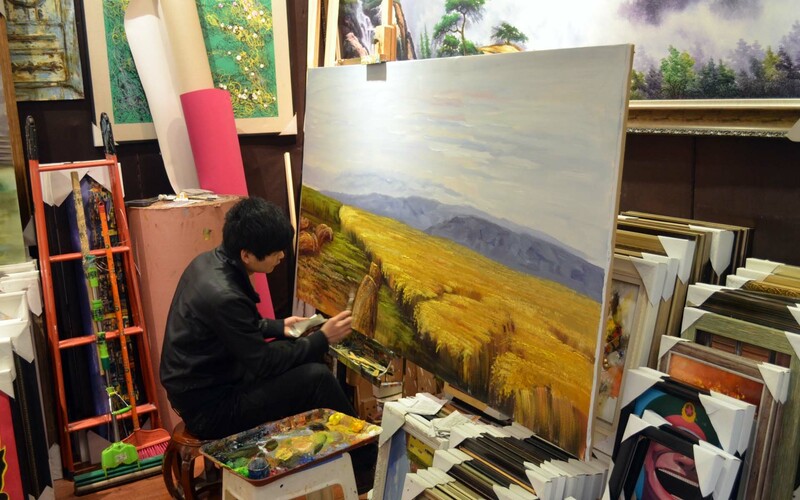 It is said that the prize in one of the artist’s recent artworks was an amount of 0.26 BTC, which is around $1,040 today. The piece that had the prize money was named “Freedom Guiding the People”. It, in fact, pays respect to the Yellow vest movement that opposes the various policies of President Macron of France. It needs to be mentioned here that some factions of the Yellow Vests seem to support Bitcoin. The seed words hidden in the image have to be re-arranged to give a meaningful sentence to unlock the prize money. Apart from the seed words, Boyart also includes a QR code with a pblic key to a separate wallet. This wallet is for his fans to donate through cryptocurrency coins. According to media reports, the prize was won a week after the unveiling of the painting. Meanwhile, donations for his future artwork are filtering in slowly. It was only a few days ago that the artist realized that his artwork was appreciated with a generous token amount. The total donation amount that the artist has received across a few of his artwork is 1.14 BTC, 5 Bitcoin cash and 1.25 Litecoin. On the lighter side, a crypto-enthusiast asked Boyart on Twitter as to how he manages to keep the money flowing in the same wallet. “What if somebody overwrote the code in the image and directed the funds in a different wallet?” Boyart seems to have sorted this out too. According to his response, he gives the same address in the code is available on his website. So, people know that money is going to the right account.